Tora! Tora! Tora! is the Japanese signal to attack - and the movie meticulously recreates the attack on Pearl Harbor and the events leading up to it. Opening scenes contrast the American and Japanese positions. Japanese imperialists decide to stage the attack. Top U.S. brass ignore its possibility. Intercepted Japanese messages warn of it - but never reach F.D.R. 's desk. Radar warnings are disregarded. Even the entrapment of a Japanese submarine in Pearl Harbor before the attack goes unreported. Ultimately the Day of Infamy arrives - in the most spectacular, gut-wrenching cavalcade of action-packed footage ever. You'll see moments of unsurpassed spectacle and heroism: U.S. fighters trying to take off and being hit as they taxi; men blasted from the decks of torpedoed ships while trying to rescue buddies; savage aerial dogfights pitting lone American fliers against squadrons of Imperial war planes. It's the most dazzling recreation of America's darkest day - and some of her finest hours. For a cinematic take on the Japanese assault on Pearl Harbor, 1970’s Tora! Tora! Tora! actually sticks much more closely to the facts than do most flicks of this ilk, so its appearance in classrooms shouldn’t be regarded as a negative in any way. Every movie takes some liberties with its subject, but Tora seems to provide a rather accurate telling of the tale. It also shows something rarely found in movies about the subject: a fairly high degree of objectivity. One might expect to discover a highly pro-American, anti-Japanese take in Tora, but that’s not the case. If anything, the slant goes more heavily against the Americans, as they’re often portrayed as bumblers who have themselves to blame for the damage done on December 7, 1941. On the other hand, the Japanese are largely shown to be efficient, organized and intelligent, and the film goes out of its way to display them in a relatively positive manner. Frankly, I think it goes too far in that attempt. Others may disagree, but I think the bombing of Pearl Harbor was a cowardly act. All may be fair in love and war, but a sneak attack to start a war just doesn’t seem right to me. Not that you’ll see much of an attitude against the Japanese in Tora, as it gives them a shiny gloss. I believe that much of the reason for this unusual tone stemmed from the nature of the production. In an innovative move, two different film crews made this film. Japanese filmmakers created those segments while Americans took on the US side of the equation. While the results blend together surprisingly well - there aren’t really any abrupt changes in tone - the overall impression left by the movie is less than terrific. Tora was a fairly objective production, and it takes this attitude to the point where it almost resembles documentary filmmaking at times. The pacing is slow but deliberate as events lead up to their inevitable climax on December 7, and the natural tension inherent in the subject compensates for any lack of excitement conveyed by the filmmakers. In an odd way, I find movies like this or Titanic to be more nerve-wracking than those in which the outcome is surrounded by doubt. I think the lack of options creates a unique atmosphere of doom that can be unnerving. In any case, the lead-up to the attack gradually introduces us to all of the main figures involved. The emphasis is on military folk from both sides plus a few diplomats thrown in for good measure. We get basic glimpses of each participant but never learn much about them; name, rank and serial number encompass the general tone of the character exposition. Frankly, much of Tora seems to be rather mechanical. Perhaps the requirements of the dual-country production led to a liberal dose of conservative filmmaking, but I think the program often comes across as too tame and lackluster. This was world-changing material, but the film usually fails to deliver the fire and passion inherent in it. On the positive side, some of the air battle sequences are well-executed and fairly exciting, but as a whole, I feel dissatisfied with the climactic attack. I think the final act lacks the necessary gravitas and is treated too lightly. I really dislike the opening shots of the Japanese as they go after the military; we find a comic tone that feels incongruous and disrupts the drama of the moment. The jokiness soon disappears, but it’s never replaced with an attitude that communicates the fatal impact of the moment. Sure, we see lots of explosions and destruction, but there’s little indication of the death and injury that accompanied these events. If you watch this disc’s documentary, you may be shocked to learn exactly how many Americans did perish during the attack. 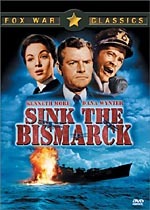 The movie doesn’t portray those aspects of the incident to any satisfactory degree, and it leaves us with the impression that a lot of ships blew up but little else occurred that day. I guess that’s what happens when a film about the attack on Pearl Harbor gets a “G” rating. No, the flick didn’t need to go to ultra “R”-rated Saving Private Ryan violent extremes, but we should get the impression that someone was hurt during the battle. This program is far too clean and neat to aptly demonstrate the damage done. On the whole, I can’t say that I dislike Tora! Tora! Tora!, as I feel that it does some things fairly well. It communicates a lot of information in a terse and precise manner, and it provides a quick and solid retelling of the attack on Pearl Harbor. The movie deserves credit because it seems to have stuck largely to the facts and tried to be as truthful as possible. However, the program features an excessively objective tone that strips it of the necessary passion. We get the details and the gist of things but never find any heart or emotion within the actions. Ultimately, Tora! Tora! Tora! provides a decent but lackluster look at the dramatic events that brought America into World War II. Tora! Tora! Tora! appears in an aspect ratio of approximately 2.35:1 on this Blu-ray Disc. I felt impressed with this consistently excellent transfer. Sharpness was always terrific. Even in the widest shots, nary a smidgen of softness appeared; the only shots that lacked top-notch definition stemmed from sloppy camerawork. The vast majority of the film appeared tight and concise. I saw no signs of moiré effects or jaggies, and edge haloes created no distractions. Print flaws also remained absent from this clean image, and it came with a nice, natural veneer of grain. Tora used a fairly subdued palette, but the tones appeared fine. Colors seemed fairly accurate and clear, and at times, red and blues looked nicely rich and bright. Black levels were deep and dense, and shadow detail usually appeared appropriately heavy but not excessively thick. Some night exteriors tended to be a bit dark, but that seemed to stem from the original photography. None of my mild complaints caused me to think this was anything other than a really attractive visual presentation. Also quite solid was the film’s DTS-HD 5.1 soundtrack. The soundfield provided a good sense of depth and breadth throughout the movie. The forward speakers demonstrated positive localization across the channels, as a mix of effects and music popped up usefully from the sides. The film also displayed quite a lot of directional dialogue, so expect plenty of lines from the side speakers. Sounds moved cleanly across the front channels and they blended together quite well. Surrounds kicked in with a lot of information during appropriate scenes. The battle sequences became very lively and they contributed a convincing atmosphere. The quieter scenes showed less activity, but the rears were still well used throughout the movie, especially when one considers the era of the film, and the track always added a good sense of place. Audio quality seemed to be typical for the era, but it was still positive. Dialogue sounded a bit thin and tinny, but the lines showed no signs of edginess or problems related to intelligibility, so I had no problems with the speech. Effects lacked tremendous clarity but still showed good punch and I thought the effects appeared acceptably clean and accurate. Low-end wasn’t the tightest, warmest I’ve heard, but it provided nice boom to the proceedings. Jerry Goldsmith’s score offered the best sound quality, as it seemed nicely clear and robust. While the bass didn’t have to kick into overdrive, I still found the music to provide a rich experience. In the end, the soundtrack of Tora! Tora! Tora! won’t compete with newer releases, but I felt it worked well for its age. How did this Blu-ray compare to the 2006 “Cinema Classics Collection” DVD? Audio was more active and involving, and the sound also seemed a bit richer and more dynamic. The image looked cleaner and tighter, with significantly improved definition and clarity. The DVD was a good presentation but the Blu-ray improved on it in every way. Most of the 2006 DVD’s extras repeat here, and we get some new items as well. Of particular interest, we find two cuts of the film. In addition to the Theatrical Version (2:25:02), we find the Japanese Extended Version (2:28:53). The Blu-ray’s press materials claim it adds 10 minutes of added footage – and the movie’s IMDB listing states the same – but unless my player’s timer no longer works, that’s wrong; the “Extended Version” presented here runs an extra three minutes, 51 seconds. IMDB does relate the content of those scenes correctly, though. One offers a conversation at the Japanese Imperial Palace, and the other shows a comedic chat between two Japanese cooks about the International Date Line. Neither seems especially interesting, but it’s nice to have them available as an option. Alongside the theatrical cut, we find a running audio commentary from director Richard Fleischer and Stuart Galbraith, an expert on Japanese films. The two were recorded simultaneously for this somewhat screen-specific track. Although he occasionally provides some background information about the actors, Akira Kurosawa’s aborted involvement in the film, and some other production issues, Galbraith mainly interviews Fleischer during this piece. The result was a satisfying discussion. Fleischer proved to be a good storyteller, and Galbraith asked some useful questions. I enjoyed the segment in which Fleischer told his personal reactions to the real attack on Pearl Harbor, and his reminiscences of his famous animator father Max were quite compelling. Another fun aspect arose when Fleischer discussed the way that he and other participants would bet on what parts of the score would accompany which scenes. Fleischer became entertaining when he stuck to personal anecdotes. Along with a lot of good data about the production and those involved, this became a valuable and informative commentary. In addition to the film’s theatrical trailer, we find a documentary called Day of Infamy. This 20-minute, two-second program combines archival footage with modern interview clips from historians to provide an overview of the history behind the film. We get notes from Naval Historical Center curator Jack Green, Naval Historical Center historians Randy Papadopoulos and Robert J. Cressman, and US Naval Institute History Division director Paul Stillwell. As I mentioned during the body of my review, this piece does a better job of communicating the impact of the attack since it more fully discusses the damage and the death involved. It looks at the history behind the US presence at Pearl Harbor, the roots of the war with Japan, and the lead-up and details of the attack. I thought it was a very solid little show that provides a nice examination of history. It proves surprisingly informative given its brevity. Another program arrives with Tora! Tora! Tora! – A Giant Awakes. This one-hour, 30-minute and 16-second documentary provides the usual mix of movie clips, archival materials, and interviews. We hear from Fleischer, Stillwell, Cressman, producer/former studio executive Richard Zanuck, producer Elmo Williams, author/professor Donald Goldstein, former Director for Defense Information Norman Hatch, Professor of History Akira Iriye, director Toshio Masuda, veterans Gordon Jones, James Bounds, Woodrow Derby, Charles Serr, Yoshio Shiga, Sadamu Komachi, and Jack McCarron. This one mixes movie “making of” material with historical information about the event depicted. For the former, we learn about the success of The Longest Day and the desire to follow it up with another WWII-themed effort. From there it goes through script development, finding directors and cast, various production delays, working with the Department of Defense and dealing with issues on the Japanese side. We also get notes about models and visual effects, locations and sets, issues with Akira Kurasawa, and many details of the production. As for the history, the show digs into US-Japanese relations before the war and the motives for the Japanese attack. We get a feel for the scene in Hawaii before the assault and learn about US-Japanese negotiations. The show views the various cultures depicted, US codebreakers, mistakes in the lead-up to battle, and elements of the actual attack. The program blends elements of the movie’s creation with details about its historical inspirations into a very neat package. It flits from one topic to the other easily and never feels muddled or awkward. This makes it informative and enjoyable. Another documentary follows. Simply called AMC Backstory: Tora! Tora! Tora!, this one lasts 22 minutes and six seconds as it features remarks from Williams, Zanuck, Fleischer, actor Richard Anderson, film historian Jon Burlingame, camera operator Ron Vargas, and cinematographer Charles F. Wheeler. The piece looks at basics of the film’s making. It covers the story’s path to the screen, various production challenges, cast and crew, shooting the flick and its reception. On its own, this is a decent little documentary. It goes over the nuts and bolts of the production with reasonable depth. However, between the commentary and “Awakes”, this show becomes redundant. It includes very little information that doesn’t appear elsewhere. This remains a good show, but if you’ve checked out the other pieces, you don’t need to watch it. 10 newsreels appear under the banner Movietone News. With a total running time of 39:45, we find “The 1st Pictures of the Attack” (two minutes, 24 seconds), “Pearl Harbor, December 7, 1941, ‘Now It Can Be Shown’” (8:19), “A Year of War Since Pearl Harbor” (6:54), “War With Japan” (6:46), “US Declares War on Japan” (5:26), “1st Pictures of the Attack on Japan Islands” (2:26), “Jap Cities Were Bombed By US Army Planes” (1:12), “President Honors ‘Jimmy’ Doolittle for Raid On Japan” (3:00), “War Reports of the United Nations” (2:03), and “Doolittle’s Raiders, Who Bombed Tokyo, Mark Anniversary” (1:15). That’s a lot of historical material on display, and it’s generally interesting. Of course, some pieces are more compelling than others, but they still give us a good “you are there” perspective on the events and the era. We even get non-PC cracks like “We won’t be satisfied until we slap the Japs right off the map!” To watch these, you’ll suffer through some serious presentation flaws, but it’s worth the effort. By the way, it’s amusing to see the real Jimmy Doolittle; Alec Baldwin played him in 2001’s Pearl Harbor, but for physical resemblance, Bob Hoskins would have been a much better match. Two collections of stillframes follow. We find a Behind the Scenes Gallery (22 photos) and a Production Gallery (71). I prefer the former, as it includes nice details. The latter mostly just gives us bland shots from the movie. 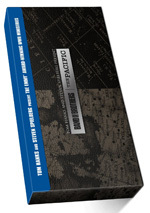 In addition, this release comes in a hardcover book. 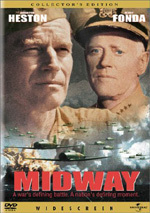 It includes production notes as well as info about the film’s aircraft and biographies for historical characters and the actors who played them. The book finishes the set on a nice note. In some ways, Tora! Tora! Tora! is one of the better historical films I’ve seen. It takes far fewer liberties than most, and it gives us a concise overview of a complicated time. However, the movie fails to ignite any spark or passion, and it seems to be excessively objective. In an attempt to give us a balanced look at both the Japanese and American sides of the equation, it loses much of its drama. As for the Blu-ray, it provided excellent picture and sound as well as a strong collection of supplements. I’ll never be especially wild about this flawed movie, but the Blu-ray delivers it in top-notch form; fans of the flick should feel quite delighted with it. 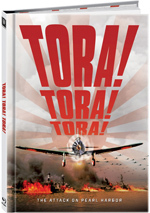 To rate this film visit the Special Edition review of TORA! TORA! TORA!